If the snow remains you can dig out those toboggans, ski’s, skates, or snowshoes, blow off the dust and put them to good use. The Conservation Halton parks are a great place to hike, bird watch, enjoy nature, and use those snow toys. Please check individual park sites to find out what activities are available at each location. Have you ever heard of Snowsnake? I honestly had no idea what this was when it was first mentioned to me, but I found out that this is a traditional Iroquoian game taking place at Crawford Lake Conservation Area as part of their Snowflakes & Snowsnakes event. This unique event includes winter survival hikes, legends in the longhouse, hemlock tea tasting, and much more. If you are more interested in an event that includes snuggling up and keeping warm, you can head to Mountsberg Conservation Area for Tales by a Winter Fire starting at 10am. You will be able to toboggan, hike, and enjoy an outdoor bonfire and if you prefer not to trek through the woods, relax on a horse-drawn sleigh or wagon ride being offered ($) through the fields and forest. Glen Eden offers tubing, fresh slopes, and even nighttime lighting for those of us who want to sleep in. Although I am not much of a skier, I was able to master the bunny hill at Glen Eden. 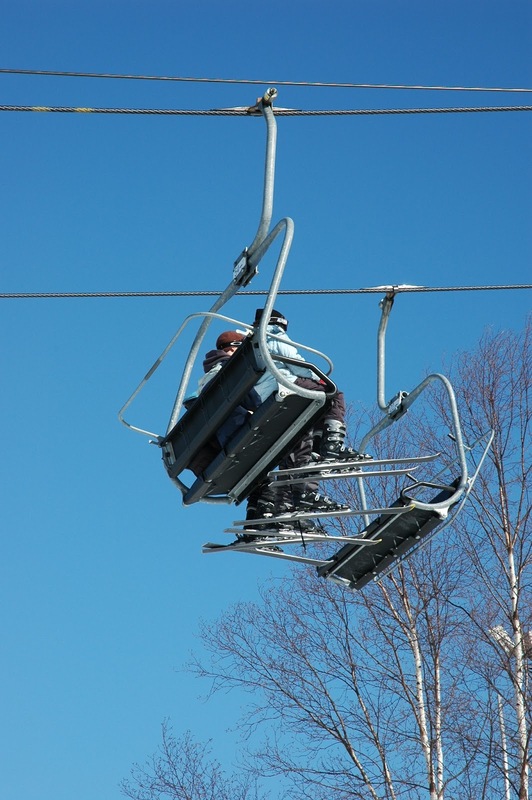 If you are looking for a challenge or just trying something new it is it is well worth it, with their Discover Skiing and Snowboarding packages, this is a day of fun which is easy to organize. Bronte Creek is always an inviting location to spend the morning, afternoon, or evening! With the Olympic-sized outdoor rink you can lace up your skates and enjoy the pleasure of skating outside from 9am-9:30pm. I personally love this because my friends enjoy skating while I am more of a watcher. No matter how many times I try, I can never seem to get the hang of things, which ends up with me falling down constantly. So instead, I’d rather sit and sip on a cup of hot chocolate, while they enjoy themselves. With heated change rooms, washrooms, music, skate rentals, farm and play barn open from 9am-4pm, this is something that both friends and family can enjoy together. Sometimes I even bring my dog, Nyssa, to run free in the leash free areas. She is just as much a part of my family as my younger sister! 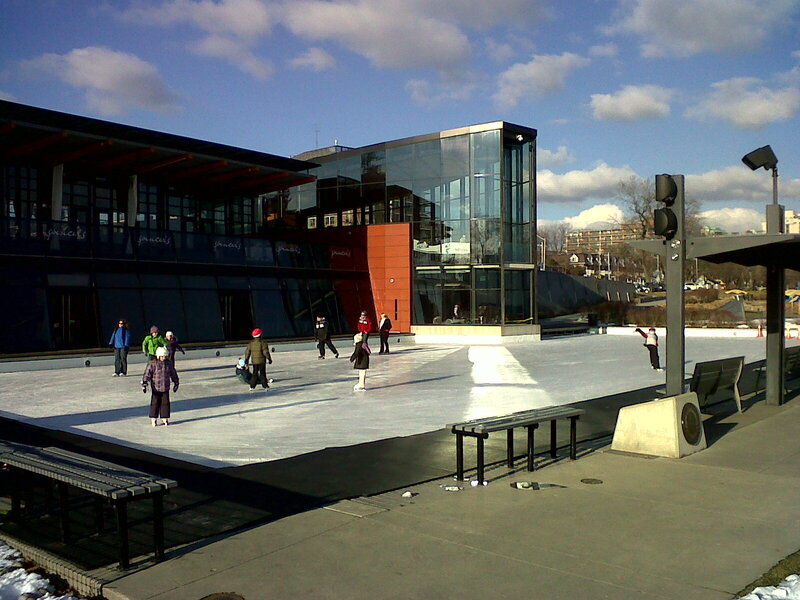 The Rotary Centennial Pond offers a stunning view of the waterfront to enjoy while you skate. Public skating is open daily from 10am-10pm depending on the weather. Don’t worry if the weather is not looking great for outside skating, The Appleby Ice Centre will be open with drop in programs for the entire family. Check the website for skate types and times. If you prefer the indoors, why not spend some time at the pool. Pull out the swimsuits, goggles, and nose plugs and splash around in the water with public swimming at Aldershot Pool or Angela Coughlan Pool. Check the website for swim types and times. Have your kids saying “RARW” at the Royal Botanical Gardens – Battle of the Titans. Visitors can learn about paleontology, see a Tyrannosaurus Rex/ Triceratops life size diorama, play dress up, see dino prints, or try the digital dig pit. On February 17th & 18th Dr. Phil Manning, an internationally renowned dinosaur hunter from the University of Manchester will be on-hand to answer any of your questions on these prehistoric creatures. The RBG is an affordable day out at only $30.50 for a family of four. Once you’ve had the opportunity to see through dino-vision and learn about dino-diets, you will likely become “dino-hungry.” The Garden Café at the RBG is featuring a Family Day Feast feeds two adults and two children and includes a salad, entrée and drink for only $30 + HST. (reservations are recommended). For those that are more dramatically inclined be sure to get your tickets for Sing-a-long A Sound of Music at the Burlington Performing Art Centre. This interactive screening event is complimented with onscreen lyrics, props, costumes, and vocal warm-ups. Be sure to visit the website to get a real feel for this cool interactive event and for ticket information. If you need a little extra incentive to get out of bed on the 18th, the Burlington Chocolate Trail is a delectable treasure path Take your teen, best girlfriend or a special individual out to enjoy some decadent treats on this self-guided trail. Is there anything better then spending the day with a little self enjoyment and chocolate - I don’t think so! Don’t worry about finding somewhere to eat on your day out, the restaurants of Burlington are always offering tasty meals. If you are looking for a prix fixe dining experience be sure to try one of more of the 23 restaurants participating in the Taste of Burlington from February 17 – March 10, 2013. Tourism Burlington will be open on Family Day from 9am-4pm, and we are always available on the web, via Facebook or Twitter. Whatever your plans are this Family Day we hope you enjoy your time together! Thank you for all the info! My brother is moving to Burlington Ontario and has seen all the great and fun things there are to do! But my question is where can he find good plumbers? Need to know the emergency numbers as well as the fun in the area. Drop by our visitor centre at 414 Locust St and we can provide you with a new resident package that is full of useful information.